Background/aim: Premature infants experience more respiratory problems after surgical procedures. We aimed to compare general anesthesia with sedation regarding the need for postoperative mechanical ventilation in infants undergoing retinopathy of prematurity (ROP) surgery. Materials and methods: Sixty patients who underwent laser surgery for ROP were included in this study. This study was performed between October 2010 and December 2012. The sedation group (Group S, n = 30) received 1 mg/kg ketamine and 1 mg/kg propofol as a bolus for induction. The patients then received an infusion of 100-150 &mu;g kg-1 min-1 propofol and 0.25 mg kg-1 h-1 ketamine for maintenance. In the general anesthesia group (Group G, n = 30), anesthesia was induced using 8% sevoflurane by inhalation with 50% nitrous oxide in oxygen. Anesthesia was maintained with sevoflurane (2%) and 50% nitrous oxide in oxygen. Results: There was no difference in gestational age, birth weight, current age, or current body weight between the two groups. Preoperative medical histories of the groups were similar. Two patients in Group S and 11 patients in Group G required postoperative mechanical ventilation (P = 0.010). Blood pressures and heart rates were similar. Conclusion: In premature infants, sedoanalgesia administration reduced the need for postoperative mechanical ventilation after surgery for ROP. Allegaert K, Van de Velde M, Casteels I, Naulaers G, Vanhole C, Devlieger H. Cryotherapy for threshold retinopathy: perioperative management in a single center. Am J Perinatol 2003; 20: 219–226. 2. Gregory GA, Steward DJ. Life-threatening perioperative apnea in the ex-“premie”. Anesthesiology 1983; 59: 495–498. [No authors listed]. Multicenter trial of cryotherapy for retinopathy of prematurity: preliminary results. Cryotherapy for Retinopathy of Prematurity Cooperative Group. Arch Ophthalmol 1988; 106: 471–479. Dhillon B, Wright E, Laing I, Fleck B. Cryotherapy for retinopathy of prematurity in a regional neonatal intensive care unit. J R Coll Surg Edinb 1992; 37: 83–88. 5. Woodhead DD, Lambert DK, Molloy DA, Schmutz N, Righter E, Baer VL, Christensen RD. Avoiding endotracheal intubation of neonates undergoing laser surgery for retinopathy of prematurity. J Perinatol 2007; 27: 209–213. Welborn LG, Greenspun JC. Anesthesia and apnea. Perioperative considerations in the former preterm infant. Pediatr Clin North Am 1994; 4: 181–198. 7. D’Angio CT, Maniscalco WM. Bronchopulmonary dysplasia in preterm infants: pathophysiology and management strategies. Paediatr Drugs 2004; 6: 303–330. Parulekar MV, Chen SD, Patel CK. Sub-Tenon’s local anaesthesia for the treatment of retinopathy of prematurity with diode laser. Eye (Lond) 2008; 22: 375–379. [No authors listed]. The CRIB (clinical risk index for babies) score: a tool for assessing initial neonatal risk and comparing performance of neonatal intensive care units. The International Neonatal Network. Lancet 1993; 342: 193–198. Mason LJ, Betts EK. Leg lift and maximum inspiratory force, clinical signs of neuromuscular blockade reversal in neonates and infants. Anesthesiology 1980; 54: 441–442. Steward DJ. A simplified scoring system for the postoperative recovery room. Can Anaesth Soc J 1975; 22: 111–113. Canpolat E, Korkmaz A, Yurdakök M, Çeliker A, Önderoğlu L, Özer S. Neonatal aritmiler: Yenidoğan yoğun bakım ünitesinde on yıllık deneyim. Çocuk Sağlığı Hastalıkları Dergisi 2002; 46: 187–194 (in Turkish). Öztürk A, Büyükkayhan D. Yenidoğanda hipotansiyon. Bakırköy Tıp Dergisi 2011; 7: 1–5 (in Turkish). Chen SD, Sundaram V, Wilkinson A, Patel CK. Variation in anaesthesia for the laser treatment of retinopathy of prematurity--a survey of ophthalmologists in the UK. Eye 2007; 21: 1033–1036. Haigh PM, Chiswick ML. Retinopathy of prematurity: systemic complications associated with different anaesthetic techniques at treatment. Br J Ophthalmol 1997; 81: 283–287. Hartrey R. Anaesthesia for the laser treatment of neonates with retinopathy of prematurity. Eye (Lond) 2007; 21: 1025–1027. Demirel N, Bas AY, Kavurt S, Celik IH, Yucel H, Turkbay D, Hekimoğlu E, Koc O. Remifentanil analgesia during laser treatment for retinopathy of prematurity: a practical approach in neonatal intensive care unit. Am J Perinatol 2014; 31: 983– 986. Lönnqvist PA. Successful use of laryngeal mask airway in low- weight expremature infants with bronchopulmonary dysplasia undergoing cryotherapy for retinopathy of the premature. Anesthesiology 1995; 83: 422–444. Gunenc F, Kuvaki B, Iyilikci L, Gokmen N, Yaman A, Gokel E. Use of laryngeal mask airway in anesthesia for treatment of retinopathy of prematurity. Saudi Med J 2011; 32: 1127–1132. Lopez-Gil M, Brimacombe J, Alvarez M. Safety and efficacy of the laryngeal mask airway. A prospective survey of 1400 children. Anaesthesia 1996; 51: 969–972. Sims C, Johnson CM. Postoperative apnoea in infants. Anesth Int Care 1994; 22: 40–45. Walther-Larsen S, Rasmussen LS. The former preterm infant and risk of post-operative apnoea: recommendations for management. Acta Anaesthesiol Scand 2006; 50: 888–893. Kirwan C, O’Keefe M, Prendergast M, Twomey A, Murphy J. Morphine analgesia as an alternative to general anaesthesia during laser treatment of retinopathy of prematurity. Acta Ophthalmol Scand 2007; 85: 644–647. Lyon F, Dabbs T, O’Meara M. Ketamine sedation during the treatment of retinopathy of prematurity. Eye (Lond) 2008; 22: 684–686. Ülgey A, Aksu R, Bicer C, Akin A, Altuntaş R, Esmaoğlu A, Baykan A, Boyaci A. Is the addition of dexmedetomidine to a ketamine-propofol combination in pediatric cardiac catheterization sedation useful? Pediatr Cardiol 2012; 33: 770– 774. ISNAD ÜLGEY, AYŞE , GÜNEŞ, IŞIN , BAYRAM, ADNAN , AKSU, RECEP , BİÇER, CİHANGİR , UĞUR, FATİH , KARACA, ÇAĞATAY , BOYACI, ADEM . "Decreasing the need for mechanical ventilation after surgery forretinopathy of prematurity: sedoanalgesia vs. general anesthesia". 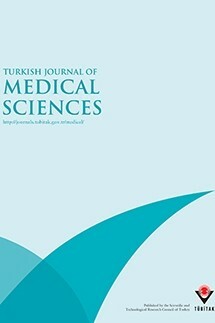 Turkish Journal of Medical Sciences 45 / 6 (December 2015): 1292-1299.